Rumor 1:Former member of an idol group has a new drama and it’s said to be good. Fact 1: Lee Joon (formerly of MBLAQ)’s drama on SBS is such a little gem that not everyone has discovered yet. But then again, it may not be to everyone’s liking. Rumor 2: It is a melodrama with an epic run… 100 episodes?! Fact 2: The plot of HEARD IT THROUGH THE GRAPEVINE has the ingredients of a makjang. Teenage pregnancy, rich boy, poor girl. We’ve seen it all before in dramaland. So I was skeptical at first. But I’m glad that–and the fact that this is going to be 30 episodes-long–did not stop me from giving it a try. Rumor 3: The story is cliche. Nothing new. Fact 3: It wasn’t exactly like at first watch. It starts off normally enough as any K-drama goes: rich boy is being groomed to follow in the footsteps of his grandfather and father; poor girl is the hope of her family. Then boy and girl meet, fall in love and “play with fire” against what looks like a Romeo-and-Juliet set-up. Then the pregnancy comes full term and that’s when the real drama, or should I say, fun, begins. The writing, direction, and of course acting by the cast make it an interesting watch. And the musical score is pure crack. It makes you feel like you’re watching an old-fashioned drama with the exaggerated instrumental music whenever a highlight comes along. The ending song also reminds me of MISAENG, not the kind of music you would hear in a Korean drama, but it gives more character to the production. Rumor 4: It’s a comedy. Fact 4: This has been dubbed as “black comedy”, and just like with the cliche plot, I also had my doubts. It’s tricky territory and could either end up as borderline-slapstick or flat. But the dark humor hits just right in the gut, or maybe my sense of mirth is just off-kilter. Rumor 5: Lee Joon is good in it! Fact 5: In what I have seen of Lee Joon’s works, he doesn’t disappoint, no wonder he chose acting over staying as an MBLAQ member. But he is not the only one good here. The lead female character is played by Ko Ahsung whose previous works include THE HOST and SNOWPIERCER. And if you watch Korean dramas, you would see a lot of familiar faces including Yu Junsang (MY HUSBAND GOT A FAMILY). The support cast are all good and though it may be tempting to take the campy route with the material that they have, they all manage to pull it off… with straight faces while you, you LMAO in front of the screen. Rumor 6: The characters are very funny. Fact 6: Just like beauty, humor is in the eye of the beholder mirth of your funny bone. But yes, I do find the characters funny. My favorite is Han Jungho (played with so much glee by Yu Junsang), the father of Insang (Lee Joon). He’s a man of tradition but can be sly in his power too, yet, at home is constantly teetering between being head of the family and henpecked husband. Fact 7: It certainly does not preach. It merely shows the consequences when teenagers become parents when they’re not prepared for it. Not to mention from two extreme social backgrounds. If there’s a lesson in there, the audience goes through the rollercoaster ride with the characters, without being talked down to. Rumor 8: The story centers on rumors. Fact 8: If you love rumors, you’d love this drama. Maybe? It illustrates how rumors are passed in daily life. How people react to what they hear, how it affects their subsequent actions, how what they heard may not even be the real picture. I find it interesting in that context, especially since we hear a lot of rumors everyday, whether in real life or fangirl life. The drama does not tell us how to filter but it merely lays down things as factual as a drama could get, with creative license of course. Rumor 9: HITTG is one of the best dramas this season. Fact 9: Remains to be seen. There are still 22 episodes to go but so far, so good. To be sure, it’s not your typical drama. 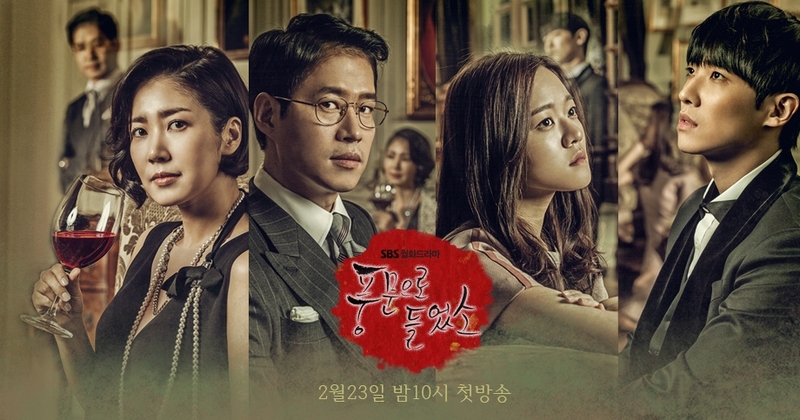 It is SBS but it feels like a cable drama most of the time. If you’re looking to watch something that’s full of action and melodrama, tears and the whole shebang, give this a skip. But if you reject the bandwagon and tired of the usual makjang you see on TV, then this might be interesting. It’s not as barebone as MISAENG, it’s still mainstream fare after all. Call it a teen love story and a family drama. But it strikes me more as a modern twist to the Cinderella story and a satire on Korea’s political, business and social elites. I guess the last part is what really drew me to this that I haven’t dropped it at episode 2 (my usual limit) like a drama potato. I’m watching, but never got to reviewing ala first impression on it (drowning in too much feels from Reply 1994 haha and then just RL affairs!) so I’m glad you wrote this! 😀 I’m stalled at ep 5 cos I’ve no time to watch this but I think it gets better. The black comedy is so on-point and it’s like every time the show feels like it’s gonna go on a typical route -oops, nope. My only beef is the directing. Like seriously, turn on some lights PD-nim! And the directing where things are like deliberately blocked from our view or shot at a funny angle so we’re seeing them from a limited viewpoint. I get the artsy-film style, but honestly… gawddd so annoying -_- hahaha and oh! Also Lee Joon. I think people are praising him too much… or more like, I wish people wrote and acknowledged Go Ah Sung more cos she’s awesome and Bom’s also awesome. Lee Joon isn’t bad here, but I find her the stronger actor of the two (but I suppose this is obvious?) All these aside though, I do love the plot line and the off-the-beat humor. I recommend! Am about to watch the last 2 episodes. I waited until HITTG had finished airing and I had access to the entire series. However I have not been tempted to marathon through it. Each episode is so rich in character development, acting, production value and satire that I have found it best to savor it a bit before I watching another. I can only assume that if I, as someone who has no direct experience with contemporary Korean society and must rely on subtitles, can find so many carefully chosen details in the production, both satirical and directorial, that Koreans who appreciate satire must find far more than I do. Also, there is a lot of good acting, especially in the supporting roles, but most of all it is the ensemble work that is so impressive. Every character is recognizable as a person, not just a device to move the plot along. I have watched and thoroughly enjoyed quite a lot of Kdrama, but HITTG is not Kdrama as I have come to know it. This is also true of the other An Pan Seok’s dramas that I have watched including A Wife’s Credentials and Secret Love Affair. I am still looking forward to finding a good venue to watch At the End of the World and White Tower. And most definitely look forward to what he and his great writers will come up with next. I do hope there is another in the making.